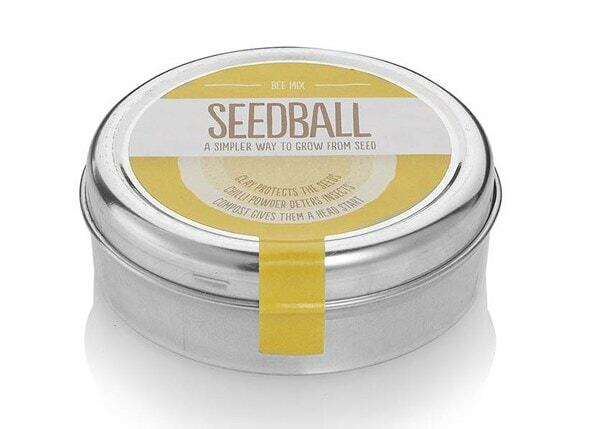 Buy Seedballs for bees: <br><ul><strong><li>Easy to use – simply scatter on beds or in containers</li><li>Better germination rates than regular seed</li><li>Includes chilli and clay for natural pest protection</li></strong></ul><br>These Bee Mix seedballs contain a perfect selection of wildflower seeds that bees will love.<br><br>Each has a blend of seeds recommended by the Bumblebee Conservation Trust, with both early and late summer flowering varieties to provide long-term interest - including foxglove, wild marjoram, cornflower, red clover and more.<br><br>Also includes peat-free compost to get seeds off to a flying start and a pinch of chilli powder to deter pests. 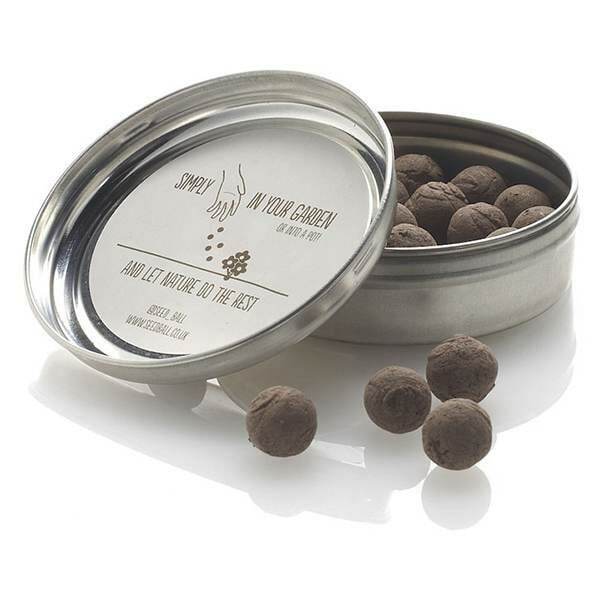 A dried clay casing offers protection from birds, ants and mice.<br><br> Simply scatter on the surface of prepared soil or compost in spring or autumn, water well and nature will do the rest.<br><br>Use around 20 balls per square metre for a garden display or 3-5 in a medium sized pot. 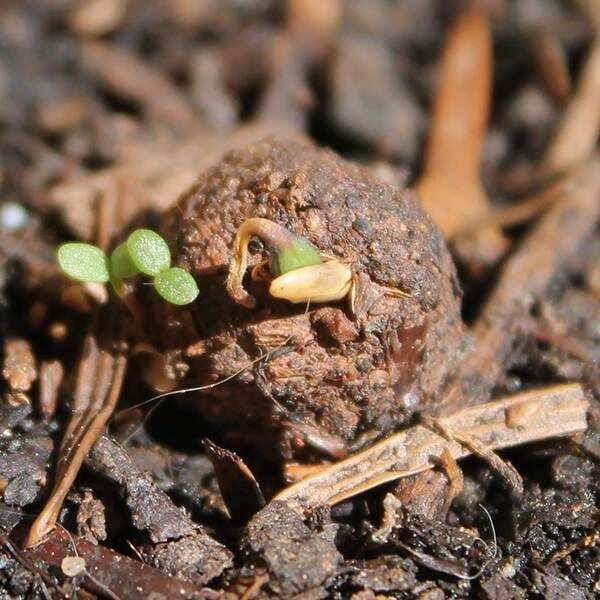 Sprouts should be seen from 2-6 weeks although regular watering may speed up the process.<br><br>Tin contains 20 seed balls, each with approximately 50 seeds. 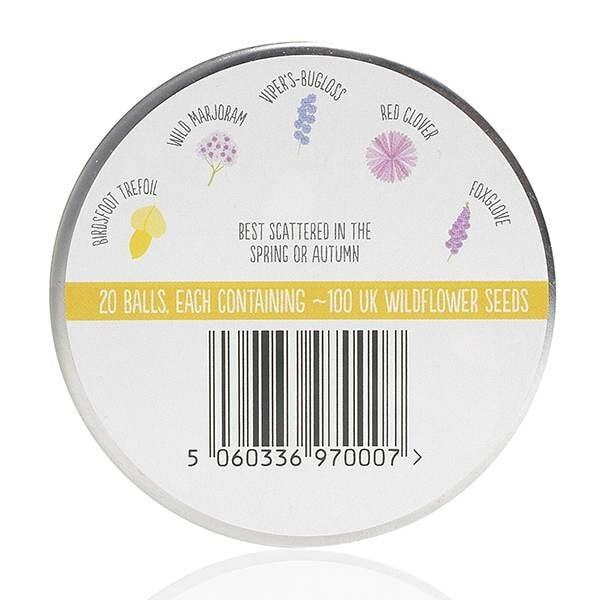 These Bee Mix seedballs contain a perfect selection of wildflower seeds that bees will love. Each has a blend of seeds recommended by the Bumblebee Conservation Trust, with both early and late summer flowering varieties to provide long-term interest - including foxglove, wild marjoram, cornflower, red clover and more. 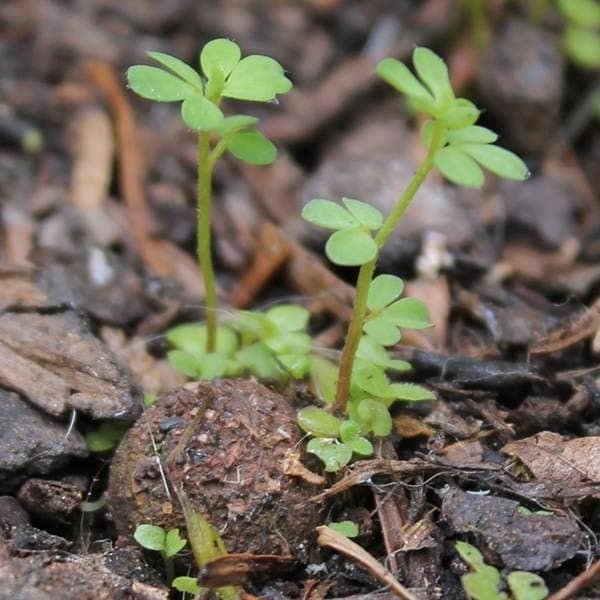 Simply scatter on the surface of prepared soil or compost in spring or autumn, water well and nature will do the rest.